From Funko. This December Aquaman will return to the big screen to discover if he is worthy of who he was born to be: a king! 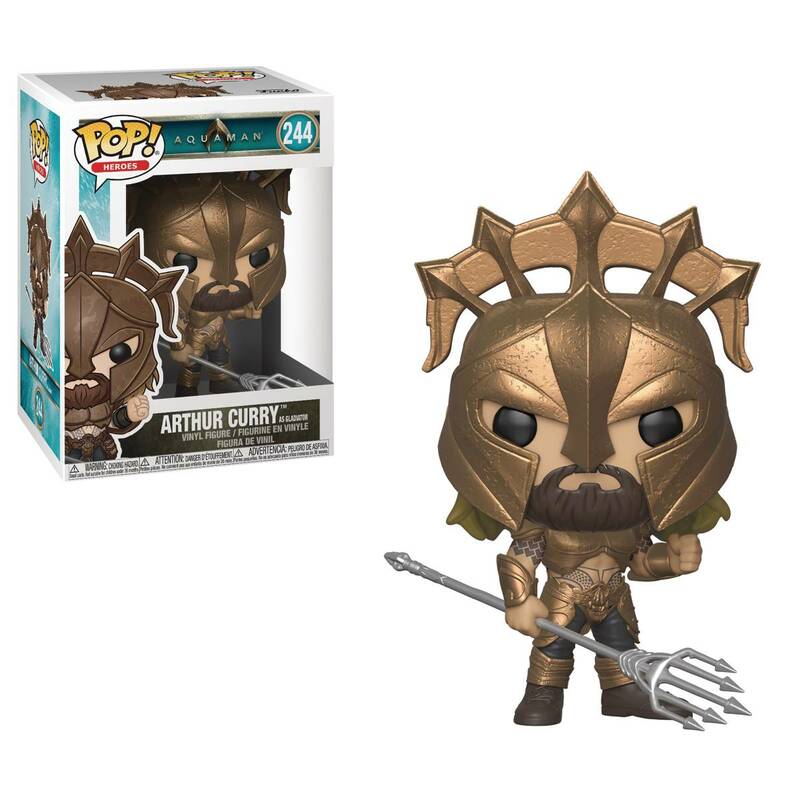 Show your Aquaman pride with this line of Aquaman Pop! figures! 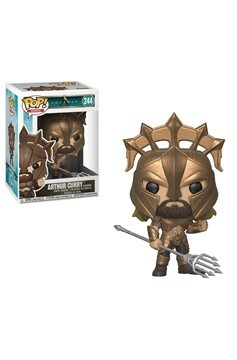 Collect Aquaman styled as an Atlantean Gladiator, Aquaman wearing his iconic gold and green hero suit and holding a trident with his face exposed, Atlantean Princess Mera, Ocean Master Orm and Black Manta! Each pop! figure stands about 3 3/4' tall and comes packaged in a window box for easy display!.